ICP/Fair Finance Watch has for example fought Birmingham-based AmSouth, when it made a move on First American / Deposit Guaranty (see Groups Say Loan Denial Rates High, The Tennessean), which later settled (see Bank settles 'unfair lending' claims, The Tennessean). In Predatory Bender, Tom Bain tracks Amsouth. Jack Bender and his daughter Zalie, starting from their days together in Charlotte, North Carolina, have always liked Waffle House. What's not to like? On behalf of the Inner City Press/Community on the Move and its members, and of the Fair Finance Watch (collectively, "ICP"), this replies to, and appeals from, Assistant Attorney General Kane's Feb. 11, 2003, letter (the "Denial") denying access to records responsive to ICP's Jan. 10, 2003, request. Despite the arguments made in AAG Kane's Denial, we wish to inform you that we have received from other states' Offices of Attorney General numerous documents, including many sent to and from to <sandra.kane [at] AG.state.AZ.US >. Given that some of these communications are with regard to the payment of funds to the State of Arizona and to other states, under most readings of the public disclosure statute this makes their withholding, in the face of the month-old request, particularly inappropriate. ICP's focus, however, is that your Office address Household's and HSBC's characterizations of the Settlements, to regulators and to the public. These documents make it clear that many the records to which AAG Kane is denying access are otherwise publicly available, and are not viewed as falling within the (identical) confidentiality provisions of the Household Consent Judgments (which ICP in any event contends are contrary to public policy and the principles of open government, see below). contravenes the strong policy favoring open disclosure and access." Thus, public officials bear the "burden of showing the probability that specific, material harm will result from disclosure" before it may withhold police records. Mitchell v. Superior Court, 142 Ariz. 332, 335, 690 P.2d 51, 54 (1984) -- and (3) that all "inter-agency" communications can be withheld. By that logic, a comment letter by the Attorney General to, for example, the Federal Reserve, in a rulemaking proceeding, would be withheld. That clearly is not the law. The improperly withheld records should be released, under the fee waiver ICP has requested. The Denial acknowledges that your Office received ICP's December 2002 letter regarding HSBC's proposed acquisition of Household; we note that we never received any response from your Office, despite the central role you played in the Settlement with Household. Please consider: we have been informed by others in the multi-state group (with whom your Office is clearly in contact, as reflected by documents we've been provided with) that they "do not have any comment on the scope of the settlement since we believe the Consent Decree adequately addressed the issue." That quote is from the Florida Attorney General's Office; it is substantially identical to a recent statement from the Washington State Attorney General's Office, which was also very involved in the Settlement, along with the New York Banking Department and Superintendent, your Office's communications with which we are specifically requesting in connection with this appeal, due to conflict of interest issues which have arisen in light of Household's Jan. 31, 2003, disclosure that it formally retained Goldman Sachs, where the N.Y. Superintendent's husband is a managing director, on May 1, 2002, to find a buyer for all or part of Household's business. Your Office's withholding of responsive records ill-serves not only consumers, including in Arizona, but also the public interest and principles of open government. On behalf of the Inner City Press/Community on the Move and its members, and of the Fair Finance Watch (collectively, "ICP"), this regards Mr. Hansen's Jan. 14, 2003, Denial of ICP's request, under the Arkansas Freedom of Information Act and otherwise, for records related to your Office's recent Settlement with Household International, Inc. ("Household"), etc.. The context of ICP's request, in brief, is that Household has been charged in all fifty states with predatory lending, has entered a settlement that many consumers' organizations including FFW contend is too limited, and has now proposed to be acquired by the London-based Hongkong Shanghai Banking Corporation ("HSBC"). It is in the public interest to disclose the specifics of any and all complaints against Household (and, for comparison's sake, certain of its peers) in Arkansas, and to disclose the specifics of the Settlement in Arkansas. We note again that on Dec. 19, 2002, Household issued a press release stating that "[a]ll 50 states and the District of Columbia have agreed to participate in the program." For your information, numerous Attorney General's Offices in other state have provided ICP, without cost, with copies of complaints and other records in response to nearly identical Jan. 10, 2003, requests from ICP. Deputy Attorney General Hansen's Jan. 14, 2003 letter (the "Denial") provided not a single document. Rather, the Denial cites to the "citizens of Arkansas" provision of Arkansas FOIA, without addressing the case law thereunder and its applicability to ICP's request. For example, Arkansas Hwy. & Transp. Dep't v. Hope Brick Works, Inc., 294 Ark. 490, 744 S.W.2d 711 (1988), held that the FOIA's intent includes a corporation doing business in this state as being a party entitled to information. Hence, representative of corporation is entitled to receive any information that any other person would be entitled to receive pursuant to the FOIA. For your information, Inner City Press is inter alia a news media organization, which serves and has readership in Arkansas, including via <www.InnerCityPress.org>. While it should not be necessary, we note for example that InnerCityPress.org is listed on the Federal Financial Institutions Examination Council's Web site as a nationwide resource on the Community Reinvestment Act (see also, e.g., the Arkansas Democrat-Gazette of April 11, 1999, "The color of home loans in central Arkansas," quoting ICP on lending discrimination in central Arkansas). In 2002 in the Los Angeles MSA for conventional home purchase loans, Citibank (Citibank FSB and CitiMortgage together) denied loan applications from African Americans 4.43 times more frequently than applications from whites. Citibank denied Latinos 5.67 times more frequently than whites. This is much worse than other lenders in this MSA: the denial rate disparities for the industry as a whole in 2002 were 1.95 for African Americans, and 1.62 for Latinos. As in Oakland, Citibank's higher-than-aggregate denial rate disparities are not explained by any greater-than-normal outreach with normal-priced credit to African Americans or Latinos. In 2002 in this MSA, Citibank made 357 conventional home purchase loans to whites, only 21 to African Americans, and only 122 to Latinos. For the record, the aggregate industry in this MSA in 2002 made 6619 such loans to African Americans, 28,391 to Latinos, and 54,916 to whites. For these three groups, the aggregate made 7.4% of its loans to African Americans, and 31.6% to Latinos. For Citibank, the figures were notably lower: 4.2% of loans to African Americans, and 24.4% to Latinos. Hello. This responds to your message of October 28, 2003, and Assistant Attorney General Cobb's letter of October 24, 2003, and the attachments thereto [regarding FIC # 2003 - 088 - Inner City Press v. Attorney General]. At your suggestion, on October 3, 2003, we limited the scope of the documents, responsive to the Jan. 10, 2003, request made by Inner City Press / Fair Finance Watch ("ICP"), which we most wanted. Under cover letter dated October 24, AAG Cobb sent copies of a number of consumer complaints against Household International, represented that ICP now has "all documents in the possession of this Office concerning 'how and why the scope of the predatory lending settlement with Household was limited'" -- that is, AG Blumenthal's December 9, 2002 response to ICP's request that the settlement's scope be expanded to include loans Household makes through brokers, and e-mails among some of the AGs' offices. That these are the only responsive documents is troubling to ICP -- but the FOIC may not be the best venue in which to pursue this substantive policy, rather than FOI / transparency, issue. "Pursuant to your request for clarification... in accordance with paragraph 40 of the consent judgment entered into between Household and the States, this Office is only obligated to notify Household of any FOIA requests for documents that were either provided to the States by Household, or otherwise contain Household's proprietary information that would be exempt from disclosure... as confidential commercial or financial information." We appreciate the "clarification," and accept it in a sense (that is, that this is how the AG's Office will implement the consent judgments) -- but that is not what the consent judgment says; even as partially quoted by AAG Cobb, it provide for notifying Household of any requests "relative to... the negotiation of the Agreement in Principle of this Consent Judgment," etc. -- i.e., requests regarding the Attorneys General's communications, regardless of whether the communications contain Household's proprietary commercial or financial information. We still think this violates the letter and spirit of the FOI laws, and encourage the AGs office to modify these provisions of the agreement with Household. It has, however, been explained to us that the FOIC is not the venue in which this could be accomplished. Accordingly, and in light of the FOIC's (voice-mail recorded) statement of lack of resources, and in light of the AG's Office's diminishing intransigence, including on fee waivers and question-answering, once AAG Susan Quinn Cobb was assigned to this matter, ICP hereby confirms that no FOIC hearing on this appeal is necessary, on Nov. 18 (as it was re-scheduled), or otherwise. On behalf of the Inner City Press/Community on the Move and its members, and of the Fair Finance Watch (collectively, "ICP"), this regards and appeals from Assistant Attorney General Clark's Jan. 27, 2003, letter purporting to unilaterally extend the time to provide records responsive to ICP's Jan. 10, 2003, formal request for records related to your Office's recent Settlement with Household International, Inc. ("Household"), etc.. After a 17-day delay, we are told that the Office of Civil Rights "will notify you of our response in a timely fashion." But this non-responsive response is already untimely. For your information, numerous other states' offices of the attorney general have already provided responsive documents, including summaries of complaints against Household, and copies of their communications with Household. For the reasons set forth below, ICP is troubled by your Office's delay, and intuits that it may be attributable to the highly-questionable agreement to privatize public records that is contained in some states' December 2002 settlement with Household. Along with the already-delayed records we requested on Jan. 10, 2003, we ask to be provided with copies of any and all communications between your Office and Household regarding requests for Settlement-related information, and with an explanation of how Chapter 119, Florida Statutes, is not violated by the concluding sections of your Office's settlement agreement with Household. The context of ICP's request, in brief, is that Household has been charged in all fifty states, including Florida, with predatory lending, has entered a settlement that many consumers' organizations including FFW contend is too limited, and has now proposed to be acquired by the London-based Hongkong Shanghai Banking Corporation ("HSBC"). It is in the public interest to disclose the specifics of any and all complaints against Household (and, for comparison's sake, certain of its peers) in Florida, and to disclose the specifics of the Settlement in Florida. On Dec. 3 and Dec. 9, 2002, ICP/FFW asked your Office to consider the ramifications of the Nov. 14 proposal by Household be to acquired by HSBC Holdings plc ("HSBC") prior to finalizing the settlement. On Dec. 9, 2002, AAG Clark wrote to ICP that " You raise important questions, which I believe are best addressed in the context of state and federal regulatory proceedings related to approval of that transaction." As stated in our Jan. 10, 2003, request, we need these records in connection with the "state and federal regulatory proceedings" to which AAG Clark referred. On Dec. 18, 2002, AAG Clark responded to ICP's Dec. 9, 2002, letter, stating that "The Florida Attorney General shares your concern for consumers and appreciates hearing your thoughts regarding this settlement. On Friday, December 13, 2002 this Office and representatives of Household submitted a Consent Decree to the Court...". Now the Consent Decrees are being used by HSBC as a basis on which its applications to acquire Household should be approved, without any public hearings, and your Office has already delayed 17 days and counting in providing any documents about the settlement. This is why the already 17-day delay is galling. This letter should be considered an appeal; it should be considered by the ultimate decision-maker at your Office on record requests under Chapter 119, Florida Statutes. To expedite matters, we note that Fla. Stat. § 119.07(3)(l)(1) only allows (while not requiring) withholding of records "prepared by an agency attorney... which reflects a mental impression, conclusion, litigation strategy, or legal theory of the attorney or the agency... until the conclusion of the litigation or adversarial administrative proceedings." Emphasis added. The Household litigation / proceeding has concluded (see supra) -- the responsive records must be released. This was the locus of showdown, because democracy (and the state legislature) and the subprime lenders, including Chase Manhattan, which is trying to convert its twelve offices in Georgia into branches of a federal savings bank, Chase FSB, to escape state laws... The rating agencies, Standard & Poor's and Fitch, conspired to overturn legislation by threatening to refuse to rate pools of loans made in the state. HB 1361, October 2002, preempted all municipalities' and county's legislation (for example, Tlanta's Ordinance 01-O-0843 and 01-O1488, and DeKalb County's Predatory Lending Ordinance of 2001. "How does it feel," some asked Georgians, "to be treated with a Third World country?" Idaho, or at least its Attorney General's Office, shamelessly accommodated Household in late 2002, allowing Household to jettison its subprime credit card-lending Orchard Bank, to Panhandle State Bank, connoting either change-begging or pancakes. ICP commented -- see, "Group Challenging Purchase by Panhandle: Complaint Seeks Review of Banks' Lending Practices," The Spokesman-Review (Spokane, WA), November 27, 2002 -- but the Idaho regulator hauled off and approved the sale, while the Idaho attorney general's office withheld virtually all documents about the settlement with Household... Click here to view HB 28, "A Bill to Amend the Licensing Practices For Mortgage Brokers Or Mortgage Bankers." Thank you for your January 28, 2003, letter responding to (though in large part denying) the Public Records Act request I submitted on Jan. 10, 2003, on behalf of Inner City Press/Community on the Move and the Fair Finance Watch ("ICP"). You state among other things that "records reflecting any consideration [y]our office may have given to revisiting the Agreement reached in October following HSBC's announcement of the proposed acquisition of Household" would "not be open records pursuant to Iowa public records law," and that "[t]here are no records of communications between [y]our office and representatives of HSBC." You in essence deny our fee-waiver request, stating that your "resources, like those of most states, are stretched very thin." You ask us to narrow the scope of the one request in our Jan. 10 letter to which you state that you will provide responsive records. While this letter will narrow ICP's request, due to the impending expiration of the comment and review periods on the proposal by HSBC Holdings plc to acquire Household, this is also an appeal. ICP sent virtually identical public records / freedom of information requests to a number of other Attorney General's Offices; ICP has already begun to receive responsive documents, including copies of complaints, correspondence with Household, etc., under fee waivers as a non-profit public interest organization. The multi-state settlement of charges of predatory real estate lending (through Household's HFC and Beneficial branches) is a matter of public concern; we reiterate our request for a fee waiver and for timely (and incremental) production of the requested records. To expedite this, ICP's request for consumer complaints is narrowed herein: for Household, back to January 1, 1999 (the time frame of your Office's Restitution Agreement with Household); for CitiFinancial and American General, back to January 1, 2000, as you suggest. It is in the public interest to disclose the specifics of any and all complaints against Household (and, for comparison's sake, certain of its peers) in Iowa, and to disclose the specifics and background of Household's finalized Settlement in Iowa. For your information, the Federal Trade Commission has granted ICP's fee waiver request with regard to documents related to the FTC's recent predatory lending settlement with Citigroup -- we would be troubled if obtaining records related to Household's settlement with the states (including Iowa) proved to be significantly more difficult and expensive. Portions of our substantive appeal are made with reference to a Dec. 13, 2002, conference call with Ms. Kathleen Keest of your Office and with a staff member of the Office of the Washington State Attorney General .Regarding communications with HSBC, during the Dec. 13 conference call the question arose of whether the states, including your Office, would seek to expand the scope of the injunctive relief in light of Household's proposal to be acquired by HSBC (and in light of the analysis in the third item into which you've divided our request). Ms. Keest of your Office chided ICP for assuming that the states (including your Office) had not made inquiries with Household or HSBC to this effect. We are requesting any and all records in this regard; it is in the public interest to release them, regardless of the (questionable) terms of the Consent Judgements with Household, which appear to us to inappropriately privatize the public records / freedom of information laws... ICP is extremely concerned that Household International not be given any veto-rights -- or even notice -- of ICP's requests, above, that do not involve records submitted to your Office by Household. For example, your Office's communications with other non-Household parties are public records, regarding which no private corporation is entitled to advance notice of requests or release. It would be a perversion of consumer protection if, by "settling on the cheap" (see above, esp. your Item 3 and <www.wa.gov/ago/householdfinance/faq.htm>, Household became even more insulated for public scrutiny that other lenders. Accordingly, we ask you to notify Household, if at all, of only those portions of our now-clarified request which involve documents submitted to your Office by Household, and that are explicitly covered by the notice provisions of your Office's Consent Judgment with Household. But in Iowa and in other states, Household still gets notice of any request concerning in any way their predatory lending negotiations, whether or not the requested documents were submitted by Household. Government in the sunshine? We wish to bring to your attention Household's position that it does not have to comply even with the Injunctive Relief in the Consent Judgments until Dec. 31, 2003. In the public interest, we would appreciate being informed if that is your Office's reading of the Consent Judgement, specifically Paragraph 29 thereof. As you will see from the attached exhibits, it is our contention that Household is not in compliance with the spirit, and even the letter, of the Consent Judgments. Annexed hereto as ICP Exhibit 1 is a form, faxed on Jan. 8, 2003 from "HFC Lending" in Tampa, Florida to "Household" in Orlando, Florida which is Household's "Side Loan Matrix." It directs Household account executives to make "Side Loans" at interest rates between 18% and 21.90%. As recounted by Household CFO David Schoenholz in an Oct. 11, 2002 conference call announcing the agreement in principle, "I also want to talk about the impact of best practices in the agreement on the sales volume. The agreement only relates to our real estate volume. There's really nothing explicitly in it that should reduce volume. We previously decided to discontinue selling secured side loans at the time of closing." Annexed hereto as ICP Exhibit 2 is a Dec. 20, 2002 (that is, post-Settlement) version of Household's Real Estate Checklist, which among other things contains a box to fill out about the "Side Loan." This form clearly relates to the Settlement: the middle column concerns the "Borrowers' Benefits Test," but, significantly, requires less demonstrable benefits-to-the-borrower for refinancing one of Household's own loans. HFC has charged excessive and unconscionable fees including unlawful increases to charges by third party providers (e.g. title report fees)... HFC has routinely made loans to borrowers in which there is no tangible benefit. A consistent practices appears to be the requirement of a high rate second mortgage behind a high rate first mortgage that leaves the borrower in a far worse position than before they transacted business with HFC... The characteristics of HFC's home equity line of credit are those of a closed end, rather than open end. The result is the avoidance of required RESPA and TILA disclosures... Numerous occurrences of failure to make GFE and TIL disclosure have been noted... Loan-to-values in excess of 100% are intended to lock borrowers into loans with principal amounts so high compared with the value of the borrowers' homes that the borrowers are unable to refinance with another lender. Because these loans are under collateralized, where these loans go into foreclosure there will almost certainly be a deficiency... Household has engaged in the practice of mailing 'live' checks to potential borrowers... These live check loans are marketing tools and persons who case the 'live' checks are placed on a 'hot list' for 'target practice' and are aggressively marketed to consolidate the live-check loan with the consumer's other credit obligations in a home equity loan with a slightly smaller interest rate but a much larger principal balance secured by the borrowers' residences." Suffice it to say that not all of these practices were addressed or reformed by the Settlements or by your Office's Consent Judgment with Household. Concerning the drafting, industry lobbying against, and redrafting of Detroit's Anti-Predatory Lending Ordinance, click here for a summary, here for full text, both in pdf format. The Mayor vetoed it two days after Christmas, 2002. On the preemption front, currently state-regulated (and subprime-lending) Chase Manhattan Mortgage Corporation is trying to convert its 11 offices in Michigan into branches of a federal savings bank, Chase FSB, to escape state laws. In the Detroit MSA in 2002 CMMC denied the refinance applications of African Americans 2.58 times more frequently than whites; in the Benton Harbor MSA, CMMC denied the refinance applications of African Americans 2.36 times more frequently than whites... ICP's work in the Motor City goes back to at least 1995 -- see, e.g., "Group Says NBD's Loan Record Should Void Merger," by Joel J. Smith, Detroit News, October 3, 1995 -- and gave rise to and ICP Detroit Watch Report. Here's an attempt to combat the marketing of predatory lenders in the Twin Cities area. The proposed Minnesota Home Loan Protection Act of 2003 was referred to the Committee on Commerce and Utilities, where it essentially died (offically, it was "laid over"). On the preemption front, currently state-regulated (and subprime-lending) Chase Manhattan Mortgage Corporation is trying to convert its six offices in Minnesota into branches of a federal savings bank, Chase FSB, to escape state laws... Minneapolis, historically, was the headquarters of Norwest, which bought finance companies, including Puerto Rico-based Island Finance. Under Norwest, Island Finance opened a storefront in the South Bronx, charging everyone who walked in 25% interest, without even checking people's credit histories. Pricing by risk? Here's SB 402, the Montana "Mortgage Broker and Loan Originator Licensing Act," signed by Gov. Judy Martz in May 2003, in pdf format. Here's LB 218, signed by the Governor March 20, 2003. It prohibits predatory practices in the mortgage loan industry and increases the authority of the Nebraska Department of Banking and Finance to take action against persons engaged in predatory lending practices. the NYC ordinance (67A of 2002, Local Law No. 36); and the NYBD's Part 41. Headquarters to sleazy Citigroup and Chase, five boroughs and eight million stories. And those are just in New York City -- there's also Buffalo (see, e.g., Acquisition of Republic Could Face Court Challenge, Business First Buffalo), Rochester, Syracuse, Albany (for example, see "Complaint Alleges Violations" [of NY Elections Law by Household], by Elizabeth Benjamin, Albany Times Union, February 3, 2003). In 2002 in the New York City Metropolitan Statistical Area (MSA), for conventional home purchase loans, Citibank (Citibank, N.A. and CitiMortgage together) denied loan applications from African Americans 4.67 times more frequently than applications from whites. Citibank denied Latinos 3.17 times more frequently than whites. This is much worse than other lenders in this MSA: the denial rate disparities for the industry as a whole in 2002 were 1.89 for African Americans, and 1.68 for Latinos. On behalf of the Inner City Press/Community on the Move and its members, and of the Fair Finance Watch (collectively, "ICP"), this regards Ms. Brocker's Jan. 15, 2003, constructive denial (the "Denial") of ICP's request, under North Dakota's open records laws and otherwise, for records related to your Office's recent Settlement with Household International, Inc. ("Household"), etc.. The context of ICP's request, in brief, is that Household has been charged in all fifty states with predatory lending, has entered a settlement that many consumers' organizations including FFW contend is too limited, and has now proposed to be acquired by the London-based Hongkong Shanghai Banking Corporation ("HSBC"). It is in the public interest to disclose the specifics of all complaints against Household (and, for comparison's sake, certain of its peers) in North Dakota, and to disclose the specifics of the Settlement in North Dakota. We note again that on Dec. 19, 2002, Household issued a press release stating that "[a]ll 50 states and the District of Columbia have agreed to participate in the program." For your information, numerous Attorney General's Offices in other state have provided ICP, without cost, with copies of complaints and other records in response to nearly identical Jan. 10, 2003, requests from ICP. The Denial provided not a single document. Rather, the Denial claims that all responsive records would be exempt, and threatens to require an advance payment of costs... The Denial states that "there were no Household branch offices in North Dakota." That does not mean that Household International does not do business in North Dakota, in a variety of ways -- including but not limited to through brokers, with tax Refund Anticipation Loans (at interest rates over 100%) through H&R Block and others, through credit cards including subprime / secured credit cards (under the brand name "Orchard Bank") and/or credit insurance in connection with these (collectively, the "Other Household Practices"). Household and HSBC are now claiming that the Settlement addresses all of Household's allegedly predatory practices except RALs; so we are request documents reflecting your Office's consideration of, and action on, the Other Household Practices. On behalf of the Inner City Press/Community on the Move and its members, and of the Fair Finance Watch (collectively, "ICP"), this letter and the exhibits hereto supplement ICP's Dec. 23, 2002, comment, which the Oklahoma State Banking Department ("OSBD") forwarded to you Jan. 3, 2003 (see attached), opposing, and still requesting a copy of records related to, the applications to your agency by HSBC Holdings plc (along with its affiliates, "HSBC") to acquire the scandal-plagued subprime lender Household International (along with its affiliates, including those doing business in Oklahoma (collectively, "Household"). On Dec. 23, 2002, ICP submitted an initial comment opposing HSBC's applications, to the OSBD (since HSBC's Dec. 20, 2002, preliminary proxy statement filed with the SEC stated that HSBC would be applying for banking approval in Oklahoma). Having heard nothing back (unlike from other states' regulators), on Jan. 3, 2003, ICP telephoned the OSBD, which told me that the appropriate agency was the Oklahoma Commission on Consumer Credit ("OCCC"). 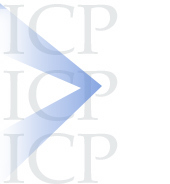 ICP telephoned the OCCC on Jan. 3 and left a message, which has not been returned. Subsequently ICP received a copy of the letter from the OSBD's Legal Counsel O. Dudley Gilbert, dated Jan. 3, forwarding ICP's comments to you. Despite the fact that ICP has heard nothing back from your Commission, ICP has received an update from an analyst, stating that as of Jan. 15, 2003, "[t]he Oklahoma Department of Consumer Credit has not received the requested affidavits from HSBC officials as of today. The ODCC still anticipates receiving the documents "any day now," but will probably not be able to complete the background checks and approve the transaction before the end of January as originally anticipated. Approval will most likely occur in early-February, 2003, assuming no criminal records are discovered among the HSBC officers under investigation." On behalf of the Inner City Press/Community on the Move and its members, and of the Fair Finance Watch (collectively, "ICP"), this regards and appeals from Assistant Attorney General Lianopoulos' Feb. 4, 2003, letter constructively denying access to records responsive to ICP's Jan. 10, 2003, request, under the Oregon Public Records Act, ORS 192.420, for records related to your Office's recent Settlement with Household International, Inc. ("Household"), etc.. After a 25-day delay, we are told that your Office proposes to charge $97 a hour for "Assistant Attorney General review" for documents regarding Household which other states' Offices of the Attorney General have provided to ICP faster, and for free. ICP's Jan. 10, 2003, letter explicitly included a request for a waiver of fees (which numerous other states' Office of the Attorney General have granted). Despite ORS 192.440(4), the constructive Denial does not even mention ICP's request in this regard. This is an appeal, including under ORS 192.440(5). The proposed charge over $2,000 (mostly for AAG review) strikes us as abusive and designed to discourage public review and oversight of your Office's settlement with Household, which for some reason was limited only to Household's real estate loans, and even for those, only to branch-originated loans. ICP is troubled by both this ludicrous proposed charge, and by the initial delay in response (and proposed further delay of 45 days in providing documents). ICP intuits that these may be attributable to the highly-questionable agreement to privatize public records that is contained in some states' December 2002 settlement with Household. Along with the already-delayed records we requested on Jan. 10, 2003 (the request is narrowed below), we ask to be provided with copies of any and all communications between your Office and Household regarding requests for Settlement-related information, and with an explanation of how Oregon's public records law is not violated by the concluding sections of your Office's settlement agreement with Household. The context of ICP's request, in brief, is that Household has been charged in all fifty states, including Oregon, with predatory lending, has entered a settlement that many consumers' organizations including ICP contend is too limited, and has now proposed to be acquired by the London-based Hongkong Shanghai Banking Corporation ("HSBC"). It is in the public interest to disclose the specifics of any and all complaints against Household (and, for comparison's sake, certain of its peers) in Oregon, and to disclose the specifics of the Settlement in Oregon. We note this context inter alia in light of Gray v. Salem-Keizer School District, 139 Or.App. 556, 912 P.2d 938 (1996), holding that the purpose and context of the request should be taken into consideration in determining how the records' release or confidentiality may affect the public interest. As stated in our Jan. 10, 2003, request, we need these records in connection with state and federal regulatory proceedings on HSBC's proposal to acquire Household. The Consent Decrees are being used by HSBC as a basis on which its applications to acquire Household should be approved, without any public hearings, and your Office has already delayed 25 days and counting in providing any documents about the settlement. This is why the already 25-day delay is galling. This letter should be considered an appeal; it should be considered by the ultimate decision-maker at your Office on public record requests, and that you forward this appeal, and your response, to the Secretary of State, as the Public Records Administrator, under ORS 192.015. We are particularly troubled by the abusive proposed charge given the Office of Attorney General's role in considering appeals of other agencies' Public Record Act denials. On behalf of the Inner City Press/Community on the Move, and in my personal / individual capacity (collectively referred to hereinbelow as "ICP"), this is a request under 65 P.S. §§66.1-66.9 (the "Right-to-Know Law") for records in your agency's possession or control regarding American Business Financial Services, Inc. and its affiliates ("ABFI"), and, separately and for comparison's sake, regarding Household International and its affiliates ("Household;" ABFI and Household are collectively referred to hereinbelow as the "Companies"). We are requesting copies of all non-exempt communications between the Department and the Companies, from May 1, 2000, to the date of your response. We are also requesting copies of all records reflecting or relating to consumer complaints against the Companies. "American Business Financial Services, Inc. (NASDAQ:ABFI) today announced that its consumer mortgage subsidiary, Home American Credit, Inc., doing business as Upland Mortgage, plans to significantly expand its lending program in nine markets, beginning in May 2003. The expansion, expected to phase in over the next several months, will include: Arkansas, Colorado, Idaho, Montana, New Mexico, North Dakota, Oklahoma, South Dakota, and Wyoming. Upland Mortgage is presently licensed or qualified to originate home equity loans in 44 states. According to ABFI Chairman and Chief Executive Officer, Anthony J. Santilli, 'This expansion is demonstrative of much more than our ability to expand our business geographically. It is really a testament to the value we bring to those American consumers in every part of the country who are often ignored by more traditional lenders.'" Also for your information, a June 13, 2003, SEC filing on form 8K, ABFI disclosed that the U.S. Justice Department on May 14, 2003, requested via subpoena from ABFI all "loan files with respect to mortgage loan transactions in which the Company entered into a forbearance agreement with a borrower rather than pursue foreclosure or other contract remedies." On behalf of the Inner City Press/Community on the Move and its members, and of the Fair Finance Watch (collectively, "ICP"), this is an appeal, pursuant to. R.I. Gen. Laws § 38-2-8(b), from Special Assistant Attorney General Field's Feb. 14, 2003, letter (the "Denial") partially denying access to records responsive to ICP's Jan. 10, 2003, request for records related to your Office's recent Settlement with Household International, Inc. ("Household"), etc..
...the AG's office is not doing anything about this matter. I don't mean to be glib; we do not regulate banks in the AG's office, nor may we, since other state and federal agencies do. It may be unhappy to contemplate, but complaints received in DBR about HHF's actions do not violate any of DBR's banking laws, and our consumer protection laws are not helpful here either. So you may wonder why we are included in the settlement at all....RIers are getting relief primarily because of the resources in other states and their stronger laws as they pertain to banking and consumer affairs. That is simply an example, providing a basis for why ICP contends that responsive records are being withheld, even beyond those enumerated in the Denial. In connection with this appeal, a broader search of agency documents should take place (including in light of the other documents annexed hereto). As to the enumerated withheld documents, we specifically contest the withholding of the "letter of final action" (Denial at 2), the Dec. 6, 2002, e-mail (id. at 1), and, most absurdly, the "press release by Household." That document, like others, is clearly already publicly available, eviscerating any basis to withhold it. We also contest, and appeal from, the withholding of all records responsive to the first and seventh of the categories into which the Denial divided our request. We reiterate our request for expedition, and question whether the confidentiality provisions of your Consent Judgment with Household should be voided as contrary to public policy and applicable open government laws -- including but not limited to APRA -- in that, as applied, they result in Household being shielded, even more than other subprime lenders, from public scrutiny. For example, Household should have no right to be notified of, or to object to, disclosure of the type of inter- and intra-agency communications annexing hereto, and that have been released to ICP by other states' Offices of the Attorney General. For your information, as recently as Feb. 14, 2003, HSBC has represented to regulators that "[w]ith the exception of refund-anticipation loans... all of the products and practices to which ICP refers were considered in connection with or were the subject of the Settlement" (emphasis added; this quote is from HSBC's 2/14/03 submission to the Delaware Insurance Department). As should be clear, HSBC is arguing that since your Office, and the multi-state group, did not act on, for example, Household's non-branch real estate loans, and other non-real estate loans, this means that these Household's practices have been "considered" and vetted, and implicitly given a seal of approval, by your Office and the multi-state group. On the evening of October 9, 2000, Columbus Day, at 11 p.m., I was informed by a staff member of Inner City Press/Community on the Move ("ICP") that counsel to Citigroup, Inc. had just faxed a letter to ICP's office, purporting to oppose ICP's party status for the October 10, 2000 hearing in the above-captioned matter. As you know, ICP's request for party status was granted, by letter dated October 2, 2000. In our phone conversation on October 5, you agreed to allow ICP to participate as a full party, by telephone, at the hearing on October 10 at 10 a.m. CST. There should be no need for ICP to respond to Citigroup's counsel's eleventh hour opposition. However, having reviewed Citigroup's counsel's letter, and its one-sided (and misleading) presentation of case law, at 2, ICP is submitting this response. Petitioner Inner City Press meet the test [for standing]... Banking Law Section 142... sets forth certain criteria that the Banking Board must consider in determining whether or not to approve a merger application, including... 'primarily, the public interest and the needs and convenience thereof."... The court finds that petitioners have legally cognizable interests that are encompassed by such statutes... Petitioners also are the appropriate organization to represent the interests of low to moderate income predominantly minority neighborhoods... For all of these reasons, petitioners have standing to maintain this action. On Jan. 10, 2003, ICP requested such records from the Utah Office of the Attorney General (the "AG's Office"). Under cover letter dated Jan. 14, 2003 (the "First Denial"), Mr. Wayne Klein of the AG's Office sent ICP certain very limited records; on Jan. 27-28, 2003, ICP faxed a letter and exhibits in response: in essence, an appeal. To put this appeal in context, we note a letter by Mr. Klein, to a complainant whose name has apparently been redacted, stating inter alia that "Utah does not have laws making these practices illegal and there is no agency that oversees companies like [Household]. The Division of Consumer Protection has no authority over home loans. The Division of Real Estate has limited powers to require a license of mortgage companies, but does not regulate their practices. The Department of Financial Institutions has little authority over first mortgage loans. In sum, the legislature has not found a need to impose regulatory oversight over this industry." But see, the Salt Lake Tribune of February 10, 2003, at B3, reporting that House Bill 189, "to impose consumer-friendly restrictions on so-called 'predatory lenders' got the go-ahead Friday from House members." While the AG's Office may still technically claim that "the legislature has not found a need to impose regulatory oversight" on high-rate, allegedly predatory mortgage lenders, the knee-jerk rejection of a good-faith appeal, such as the Third Denial (and the Second Denial's attempt to begin imposing fees because Inner City Press continued to seek records regarding the AG's Office's settlement with Household), is inconsistent with law (see above), with open government and with the public interest. For the reasons set forth in the letter and exhibits we faxed to Mr. Klein, the AG's Office's lead lawyer in the Household Settlement, on Jan. 27-28, ICP is concerned that the Household Settlement is too narrow (being limited to branch-originated real estate loans); we are additionally concerned that Household may already be violating the spirit and/or letter of the Settlement, and that HSBC might move even further in this regard. ...While we have yet to receive a single documents from your Office in response to our Jan. 10, 2003, request, we have been provided with some responsive documents by other agencies to which we directed similar requests on Jan. 10, 2003. These include, for example, a memorandum entitled "State of Washington Meeting with HFC, May 23, 2002" (see infra); a letter you wrote to Kathleen Curtin of Household on June 28, 2002; a seemingly related memorandum to Ms. Curtin, dated June 21, 2002, "Re: Request for general information for July 9 meeting;" and an undated document entitled "Summary of Relief Sought by Washington AGO CP Division Against Household International, Inc.."
we don't want the 30,000 pages provided in your Office's initial estimate. We then waived our request for the actual complaints, and asked only for a computer generated list. We were told that the complaints made up most of the 30,000 page estimate. But I've just been told that the estimate may now be 30,000 to 50,000 pages, and that payment in advance would be required. I'm sensing some incongruity with other states' AG's Offices responses, ironic in light of your Office's lead role in the settlement with Household and in light of AAG Huey's Dec. 13, 2002, letter to ICP, stating that "You raise important questions, which I believe are best addressed in the context of the state and federal regulatory proceedings related to the approval" of HSBC's applications to acquire Household. We were and are seeking these documents among other things to participate in those proceeding; in those proceeding, HSBC has said that the Settlement addresses or considered all of the Household issues we've raised, except tax Refund Anticipation Loans. Our Jan. 10 records requests was intended to obtain documents to respond to this HSBC / Household (mis-) representation of the settlement, but to date have received not a single document from your Office. Outside of the public records process, we would like (and have requested) for your Office and/or the multi-state group or the executive committee thereof to make clear what the settlement considered and addressed and what it doesn't. We are concerned that the Confidentiality provisions of the Consent Judgment(s) may be playing a role in your Office's delayed provision of responsive documents; we would ask that you consider whether those confidentiality provisions (1) are consists with RCW 42.17.270, et seq., and (2) don't provide Household with an even greater shield from accountability and public disclosure that other controversial subprime lenders. Many states' FOI responses have cc-ed Household; some states have provided their communications with Household regarding our request(s); I've now noticed a state cc-ing Mr. Huey on its FOI response to ICP. The further irony: we have obtained (at no cost), for example, AAG Huey's June 28, 2002, letter to Household's Kathleen Curtin, and a memo about a state of Washington meeting with HFC on May 23, 2002. These are the type of documents we've been requesting from your Office since Jan. 10; we sure hope to receive them soon. The reference above to another state's Attorney General's Office cc-ing you on an interim FOI response is to Ohio, which also has yet to provide us with any of the responsive documents. You've cc-ed your Feb. 18 letter to Household's John Blenke; I'm left wondering if that's your reading of the Consent Judgment, that "notice" must be provided to Household of any communication regarding the company, its practices or its proposed new owner. If so, this certainly is a "right" that other subprime lenders don't enjoy. We are concerned that these and other confidentiality provisions of the Consent Judgments will make it even more difficult to protect consumers from the Household practices to which several of the documents we've obtained refer, but which are not the subject matter of the Consent Judgments. ...Accordingly, we would ask that your Office, and/or the executive committee of the multi-state group, respond to the above-quoted HSBC statements regarding "the products and practices. [which] were considered in connection with or were the subject of the Settlement," prior to the expiration of the review periods in any more of the regulatory proceeding on HSBC's applications to acquire Household. We also ask that the documents we've been requesting since Jan. 10, 2002 -- and which since Jan. 22 have not included the underlying file cabinets full of complaints to which you refer -- be provided as quickly as possible. Mountain State Justice -- the (satellite TV dish) avengers...(Click here, c/o W. Virginia Legal Services). ICP challenged Chase Manhattan and U.S. Trust of Wyoming, for breaking the law. Here's a long decision. ©opyright 2003 Inner City Press/Community on the Move, Inc.